Within DC motor control systems, servo drives amplify command signals and transmit electric currents to servo motors. They are integral to the effective production of motion in proportion to the ideal velocity, position, and/or torque involved in an application. DC servo drives constantly work to adapt performance based upon data received from a sensor within the servo motor. In so doing, they ensure that each DC motor is able to constantly adapt to a wide variety of performance-related variables. 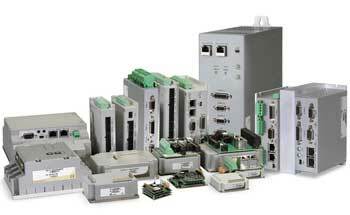 DC servo drives specifically provide for precise position and speed control within the closed loop systems of brushed or brushless DC motor control systems. These drives increase the motor’s life cycle. Sensorless control methods are also possible, including pulse-width modulation and the pulse and direction method to determine motor performance.